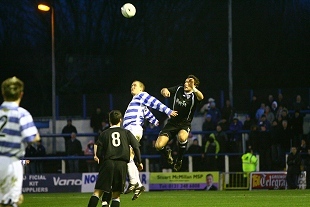 The tale of the bank is a story of good luck in Pars first visit to Cappielow since season 1999-2000. 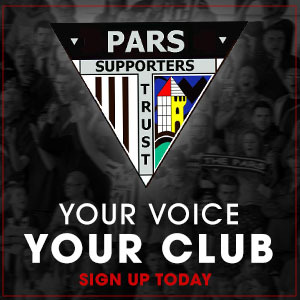 For the Boxing Day fixture the Pars were unchanged from the side that defeated Queen of the South. Only changes in the Fifers squad were to the bench which assumed a very positive look with three strikers and last Saturday's goalscorer, Nick Phinn. Jim McInally's Morton were unchanged from the side that drew at Firhill four days before. 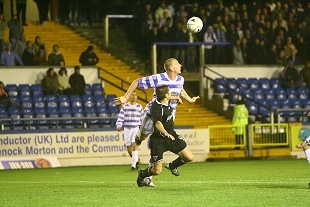 Morton kicked off with Peter Weatherston attacking the goal in front of the empty west terracing. Although Dunfermline had some encouraging early touches, it was the home side that had the first shot at goal after four minutes when Weatherston beat off his defender and laid the ball off for Iain Russell but his attempt was weak and Paul Gallacher gathered easily. 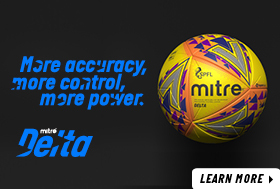 The first corner of the match was won by the Morton in seventh minute and from it Weatherston headed the ball back through the six yard box and wide left. Calum Woods did really well to keep the ball in on the right flank but keeper David McGurn was quickly out to deny Mark Burchill creating the visitors first shot at goal. Macca was calling for his team to 'lift it' after being pinned back and they responded with Thomson, Glass and Simmons all making positive passes forward that kept the Morton defence busy. It was a Glass through ball into the left side of the Morton box that led to the 16th minute penalty decision that gave the Pars the lead. Burchill was taken down by Kevin Finlayson, Charlie Richmond pointed to the spot and Stephen GLASS's left footed shot was touched by McGurn as it found the net at the bottom right. There was a fright for the Pars when Gallacher failed to hold Jim McAllister's 20 yard shot but he scrambled to clutch it ahead of the inrushing Russell. A long ball in 21st minute was turned into a chance by the speed of Burchill but McGurn was out again to beat away the shot from the left side. 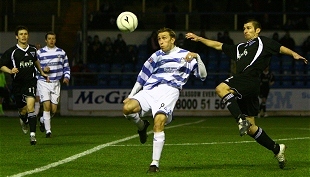 Morton worked hard to try to find a way back with Harris twice and then Gallacher being called upon for some serious defending. The Greenock men were having the greater possession yet they continued to have nothing to show for it. 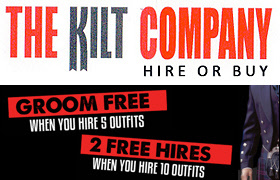 Only the pace of Burchill was posing any threat as far as Dunfermline were concerned. When Michael McGlinchey brought down McAllister 25 yards out Kieran McAnespie drove the free kick against Danny Murphy as he sprinted towards the taker. A corner resulted and when that was delivered from the bottom left corner Ryan Harding was unlucky to see his header flash wide of the right goalpost. There were 39 minutes on the clock when Russell was allowed to send in a cross from the right side of the Dunfermline penalty box that was met by Weatherston and his shot rattled back down off the crossbar. Luck, for the moment, appeared to be on the Pars side. Dunfermline were on the attack from the resumption with Simmons getting in an early attempt that was wide of target. The woodwork was again to come to the Pars rescue in 48 minutes after Russell's pass to the top of the Pars area was headed down and then McAnespie poked a shot that bounced over off the crossbar. At the other end a Glass free kick was headed wide by McGlinchey but it was soon back in front of Gallacher's goal with the danger coming from a McAnespie free kick after Murphy had fouled Finlayson down at the right corner flag. Fortunately the defence turned away the difficult inswinger and dealt with two corners from the right after Gallacher had tipped a Weatherston shot behind. The Greenock team continued to keep the pressure on their opponents driving two shots at Jamie Harris and then Russell heading a McAnespie corner over the crossbar from five yards. The Caretaker Manager was warning his players they were "camped in" and was given further concern on the hour when Woods gave Weatherston an opportunity to drive a 35 yard free kick. The wall did its job and a tamely conceded corner gave the Pars some respite but this was really backs to the wall stuff. A Glass free kick switched the emphasis to the Morton box but when cleared to Woods his pass cannoned back and it required a frantic run back from Ryan to stop the counter punch. Former Pars player Chris Templeman was introduced but his first real shot in 80th minute was well wide right. It continued to be one way traffic as the home support gathered behind Gallacher's goal as they made their way to the exit. Dunfermline had been under the cosh for three quarters of the game and they were not to let Morton find the net even though they probably felt they deserved it. Jay Shields drive was booted away by Harris and then Templeman headed a good chance over the crossbar. Weatherston had another glorious chance in 93rd minute but struck the ball wide right. The second away win of this league campaign won the Pars another three points. 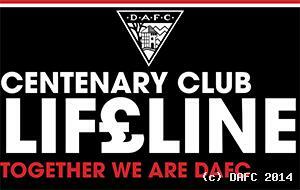 DUNFERMLINE: Paul Gallacher; Calum Woods, Jamie Harris, Scott Thomson, Danny Murphy; Bobby Ryan, Stephen Simmons, Stephen Glass (c), Michael McGlinchey (Stevie Crawford 74); Mark Burchill, Jim Hamilton. MORTON: David McGurn; Jay Shields, David McGregor, Ryan Harding, Stewart Greacen, Scott McLaughlin (Chris Templeman 76), Kieran McAnespie (Brian Graham 68), Kevin Finlayson, Peter Weatherson, Iain Russell (Michael Gardyne 86), Jim McAlister. SUBS: Lee Robinson (GK), Scott McKellar.